Valet testimonials - Scratch removal and paint buffing. "Excellent work done on time." "Car was immaculate, extremely clean, dust free looked like brand new. Smelt lovely and hardly a scratch left on it after it was buffed. Would strongly recommend company to friends and family "
Silver valet was carried out meticulously, with great attention to detail. Great to see people taking pride in their work, not common these days. Keep up the high standards - I'll certainly recommend you to anyone. P.S. thanks for the loan of the booster!" "Very pleased with service received both on the phone and in person. Job done exactly to requirements - Pleased with results. " "•Good honest opinion and advice. •Good idea with the food. •Strange Arrangement with body man (I didn't need to know he didn't work for you). •Would have been better to have a fixed quote up-front, rather than a bill"
Thank you for the compliments -- as for the other stuff, we do everything we can including a map which you can print out, we even have coordinates for sat-nav. We did think about a large balloon, but this idea wouldn't fly with the Council, so it never got off the ground (no apologies for the puns!). I think the arrangement with our subcontractors isn't all that strange, it's just strange that you were told about it... you were right, you didn't need to know. As for the fixed quote... the vehicle was appraised with you before work began, this should serve as a quote. However, it is sometimes the case that other things come to light once we start working. When this happens, you are informed, sometimes we call during the valet. But our customers are never under any obligation. Just 28 minutes from Tiptree! "Excellent job. 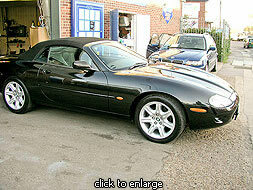 Very pleased "
"I am very pleased with the service provided by Clean Image. I have used them before, hence I came back again. I would definitely recommend them to anybody who has a car. "Very polite + friendly people. Car was very well finished and I was very delighted with the work "
"Thank you Mark, my car came to you, a very sad & dirty sight, horribly neglected in fact. But picking it up this morning, wow!, I could hardly believe how good it looked - I've always had excellent results from Clean- Image but this time, truly one hundred % "
"Helpful staff, efficient service, quality finishing"
There is also a Video! "Over five years later, still like new and easy to clean"
You will be delighted with the results - Highly recommended"
"Excellent service, I could not fault it, very honest, realistic and helpful. Reassuring as a woman that I was not going to get ripped off or taken for a ride. I will definitely recommend to all my friends." "Having had my lease Mercedes for nearly 3 years, I wished to return to the lease company but was concerned about returning the vehicle without having any idea as to what the possible repair or service charges might be upon return. The lease company provided little guidance on this other than issue a standard booklet of things to look out for. Given that my car had several of the issues the booklet listed, I felt that I needed a better idea as to what bill I might be facing in the end. So i searched on the web and Clean Image seemed to offer exactly the service I was after. They performed a check of my car before I returned it to the lease company and then provided an unbiased estimate of the amount of work involved to put things right. What was particularly impressive was that there was no hard sell and I was given various options to chose from based on price and 'risk' , that is, the likelihood of not doing X and the probability of the lease company charging for the work at their list prices. So in the end we discussed options and agreed a programme of work that was completed promptly and professionally. At all times the communication was excellent and the friendly and helpful staff took a lot of stress and hassle out of the whole experience. The important part of all of this is that the car was returned to the lease company without incurring any further charges after Clean Image completed the work." "I went to New Again for a pre-return inspection having noticed some minor body work damage. I was provided with a detailed inspection report and a very reasonable quote for repair. 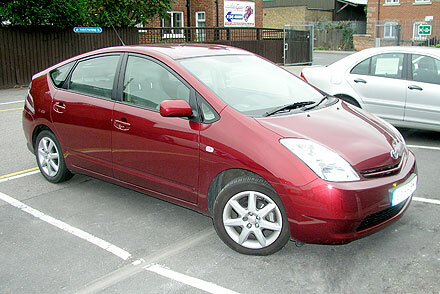 Five days before my car was to be returned to the lease company it was damaged in a minor RTA. New Again arranged for all damage to be repaired in a very short space of time resulting in my not receiving any penalty charges from the lease company. I would recommend the pre-return inspection at New Again to anybody who is about to return a lease car." "The attention to detail in terms of work carried out and service is fantastic. I found New Again to be very professional. 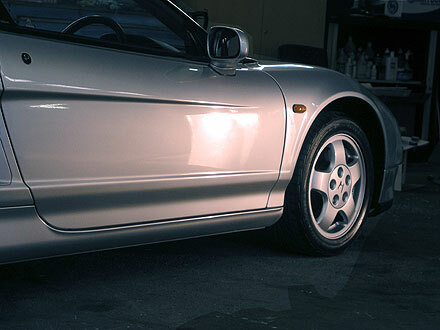 I never felt worried about leaving my dream car (Honda NSX) in their care while they worked on my car. The quality of work was excellent. Definitely recommended." "Well, I've finally sold the Jag, for £14,400, so please accept my thanks and feel free to use this testimonial if you wish. I got New Again to do the valet for my Jaguar XK8 when I decided to sell it because I had had the car from new, with a full service history and had spent a lot of money keeping it mechanically perfect. I wanted the exterior to match and to make sure it looked as good as it could. In fact it looked a bit tatty: it had quite a few dents, scratches and scuffs that needed attending to. 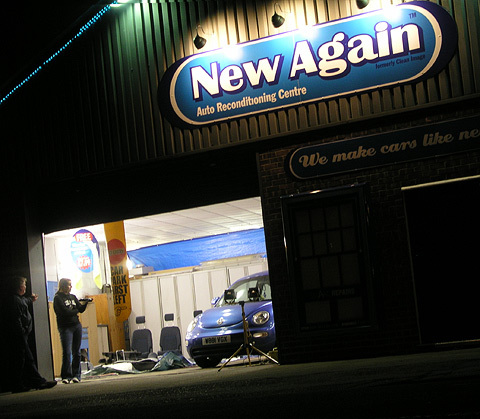 New Again were a great 'one-stop-shop' - they gave me great advice and the quality of work was excellent, the car looks like new, which reflects it's history. New Again were always very friendly, full of good advice and professional, and even followed up a few weeks later to see how I was getting on, and to give me more useful advice on presenting my advert. I was very pleased with their service because I don't think I would have sold my car for anything like the amount I did, if at all, without their work." "Very Professional, diligent and helpful. I was taken through the entire process and felt nothing was too much trouble." We are still collecting testimonials, we have stacks of them. Unfortunately we haven't the time to up load them all onto the website at the moment as we are working hard on other projects. Hopefully things will be back to normal soon. Click here to see the bad ones!